Today: Why choose between three recipes when you can just combine them all? If you’ve taken high school economics, you’re familiar with the concept of opportunity cost. For every choice you make, your opportunity cost is the best possible alternative—"the road not taken," if you will (sorry—still in tenth grade mode). And even if you weren’t able to define that term on your first quiz, you’ve surely experienced its “Real Life Application.” It’s especially palpable when you’re turning away from the ice cream counter. To have chosen pistachio ice cream is to not have chosen chocolate (…or vanilla…or mint chip). It’s the what ifs. It’s what keeps me standing in the store so long that, at 4 P.M., the cashier kindly reminds me that they stay open till 10. And since I can’t write about cake every day of the week (I’ve pushed—believe me), I run into a similar dilemma: Each recipe I test sweeps other contenders under the rug. 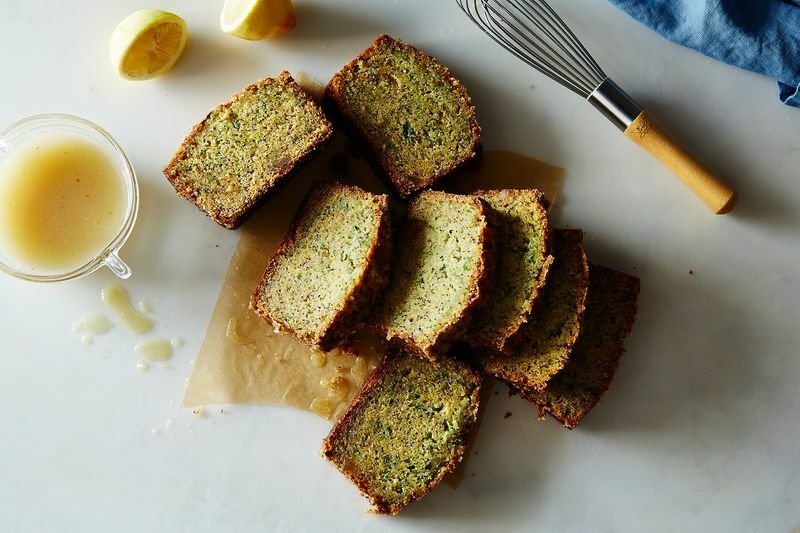 When I wanted to make zucchini bread—a quick bread I’ve come to love in my maturity though was horrified to learn existed—I yearned (really, I did) to find the best one. At first, I opened a hundred tabs, marking every zucchini bread recipe that appealed to me. And then I realized that while I can't have it all, my zucchini bread can. Some cakes are ballerinas that ask you to tip-toe, too: They're delicate in flavor or structure and can only handle so much rough-housing. 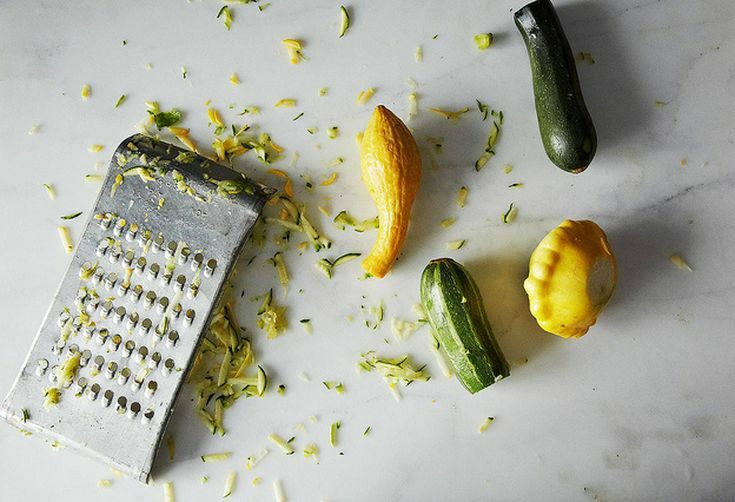 Zucchini bread is not one them. It can take spice like ginger, nutmeg, and cinnamon; it loves fats other than butter and flours other than all-purpose; it can handle add-ins like raisins (if you dare), chocolate chips, or nuts; it can weather a thick sugary coating or a cream cheese frosting. Make this recipe and you won't have to worry about the zucchini breads not taken. 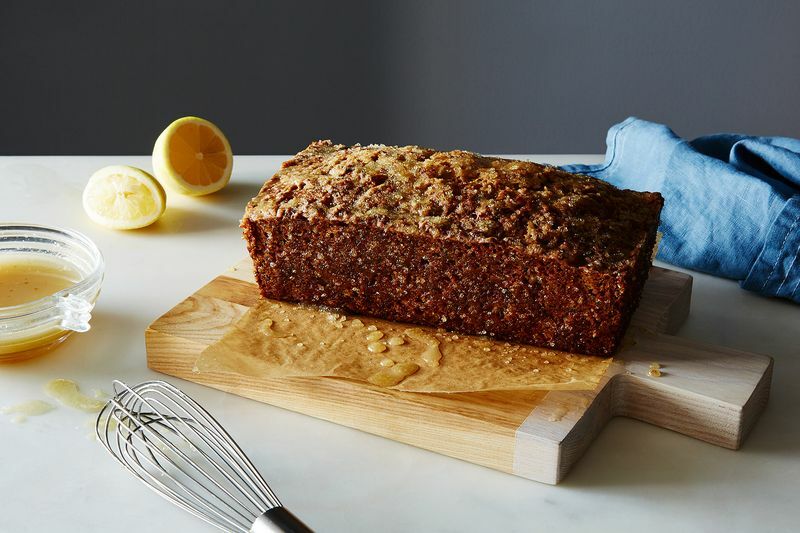 You'll get a loaf with a crunchy citrus coating, a ravined top, and a plush interior speckled with poppy seeds. This is funny brings to mind a special brunch event where I took two recipes that my mother gave me one for a poppy seed cake with lemon sugar crust and one for zucchini bread and made a Frankenstein loaf that ended up to be gran Marnier crusted zucchini and poppy seed bread. My old Chef calls me every couple of years looking for that recipe and I make up a different one every time. Newest version used coffee flour. 2 cups of sugar??? is that really necessary? You could easily dial the amount of sugar back. Also the amount of EVOO is way overboard - I did half and could have even done less than that. I had one lone zucchini and two ripe bananas so I made this bread last night. I simply mixed everything together in one bowl and cut the EVOO in half - it baked for 75 minutes and it is *THE* best quick bread ever. Thanks for the incredible recipe! My mom always hid the zucchini in a very chocolatey cake with chocolate chunks. This one looks great! 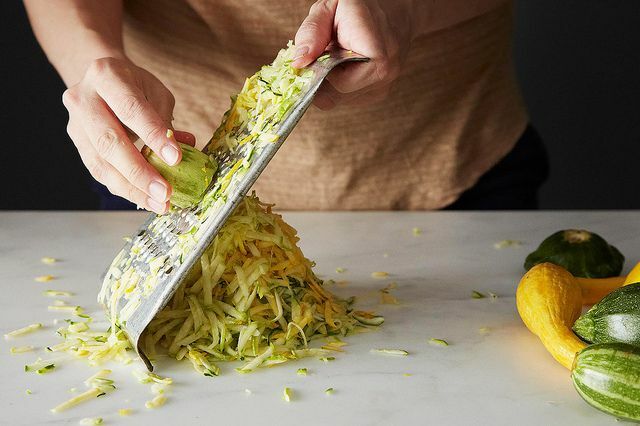 I'm glad to see you were grating up both green zucchini and yellow crook neck squash. I have much more of the later these days. I might even try a sour sorrel glaze since I have much more of that in the garden than lemons these days. Can't have flour or sugar..is there a substitute? Help ...seems delicious!!!!!! You can use various non wheat flours if wheat is your issue. Tender quick breads/cakes do very well with no gluten flours. Laura thank you for your kindness and responding to me. I am so grateful. I will certainly try your suggestions. Good luck Sharon. The good news is once you find a way to make it work you'll have a great recipe you can make and substitute different flavors and fruits or vegetables in. This is very similar to 101 cookbooks, "My Special Zucchini Bread" which I have made twice in as many days...I scanned the ingredients in this version and it sounds delish as well, thanks for another one to try!! This article couldn't have come at a more perfect time. The zucchini in my garden is growing larger by the day. You must have been reading my mind. It looks like a "must try" recipe! The lemon crunch glaze should really be credited to Gina DePalma. Yes, you're right! This recipe has made several appearances on the internet (Lottie + Doof, as I said, plus on David Lebovitz's blog: http://www.davidlebovitz.com/2010/08/zucchini-cake-with-crunchy-lemon/) but it's originally attributed to Gina DePalma at Babbo. Thanks for pointing that out!